What’s new on SW version 3.1? -Smart Phone Cases customization line-up. New product line. -EALBUMAXI1 (8×10) Album. New cover window position. Smart Phone Cases line up. Small & medium size smartphone, based on 4×6” media. Large smartphones and tablets, based on 6×8” media. User can add a picture and enter text. 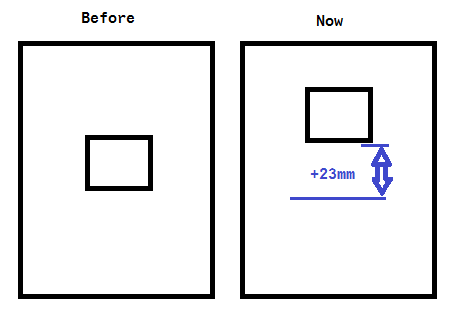 Updated design of Album cover: the position of the central picture has been moved upwards. Compatibility with new K60 media: K76R(HG). Printmodule now supports both the old and new media. Posted in Announcement, EN, EN, Kiosk and tagged Kiosk, Kioskgifts, new release, V3.1 on February 23, 2017 by Mitsubishi Electric Europe B.V. Printers Group. –New look&Feel: New software appearance, more intuitive, closer and fresher. The main change is that now we offer a clear description of every service in the Main Menu. –New PhotoStrip Thematic, Collages, Compositions & Bookmarks: This new version includes in the Main Menu a new thematic. 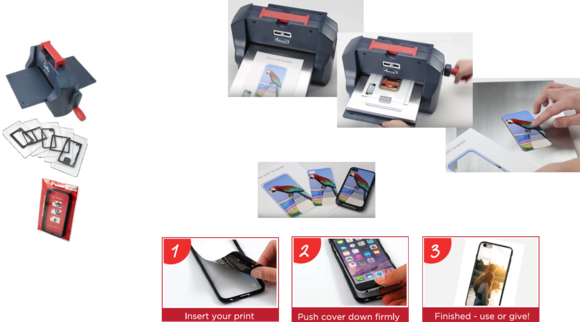 Your clients will be able to print easily and comfortably their favourite pictures in different formats. – Printing of video frames: From this moment on, user will be able to print the frames of their videos that they like the most. It is as easy as downloading the videos and selecting the images that they want. –Automatic Generation of a Security Copy (recovery): Without operator intervention (Except of Smart Kioskgifts). EALBUM4X6STB 10×15 , in black. Personalised cover, the first Album that allows having the cover you want! EALBUM6X8WR & EALBUM6X8WB 15×20 , in red (R) and Black (B), with a wider window in the cover. Posted in Announcement, EN, EN, EN, MESSEC and tagged Kiosk, Kioskgifts, V3.0 on November 21, 2016 by Mitsubishi Electric Europe B.V. Printers Group. Let me inform you of the official release of a new sw version v2.8.5 of KioskGifts. You can find v2.8.5 version uploaded in MESSEC from today. Disabled the gamma table parameter (CPD files) for the CP-W5000 printers in the ImageQualitySettingTool application. 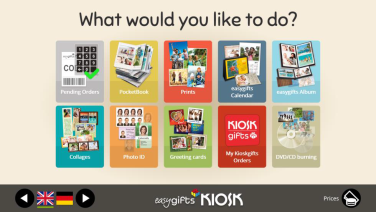 Posted in Announcement, EN, EN, Kiosk and tagged Kioskgifts, Update, v2.8.5 on July 13, 2016 by Eduardo García. Samsung S4 cannot connect to KIOSKGIFTS and the message is ‘Internet connection is slow‘. Posted in EN, FAQ, Kiosk and tagged Kiosk, Kioskgifts, Samsung S4 on January 30, 2014 by Service Desk.